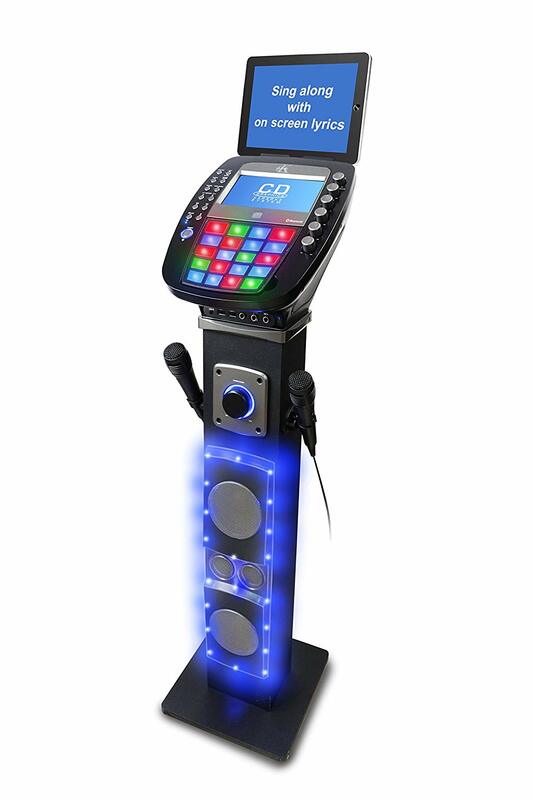 Home / Hi-Fi / Audio-Visual / Karaoke Machine EKS878-BT Bluetooth Easy Karaoke Machine. 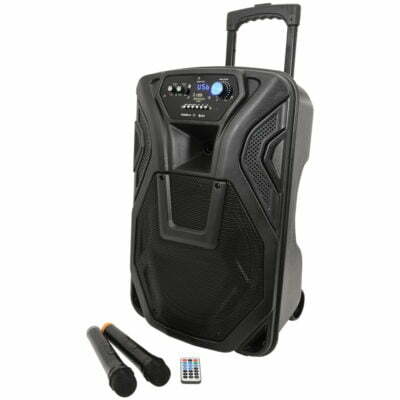 Great for Karaoke Parties! 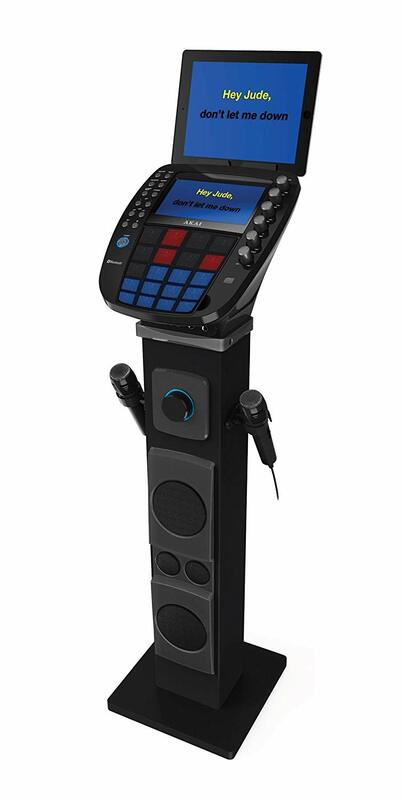 Karaoke Machine EKS878-BT Bluetooth Easy Karaoke Machine. 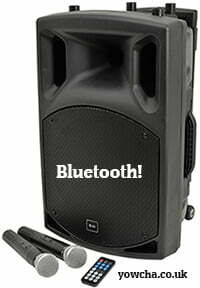 Great for Karaoke Parties! Compatible to CD, CDG, CDR, CDRW, MP3, MP3G. 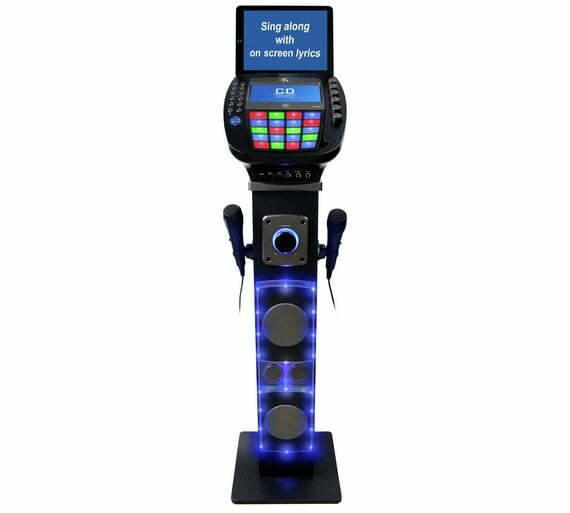 The Easy Karaoke EKS878-BT Bluetooth Karaoke Machine is a CD/CD+G and USB six speaker Pedestal Professional Karaoke system with built in 7″ colour screen, disco lights, mic volume, echo, key and balance controls, 2 x USB to record and playback your performance. The tower of lighting completes the party experience. 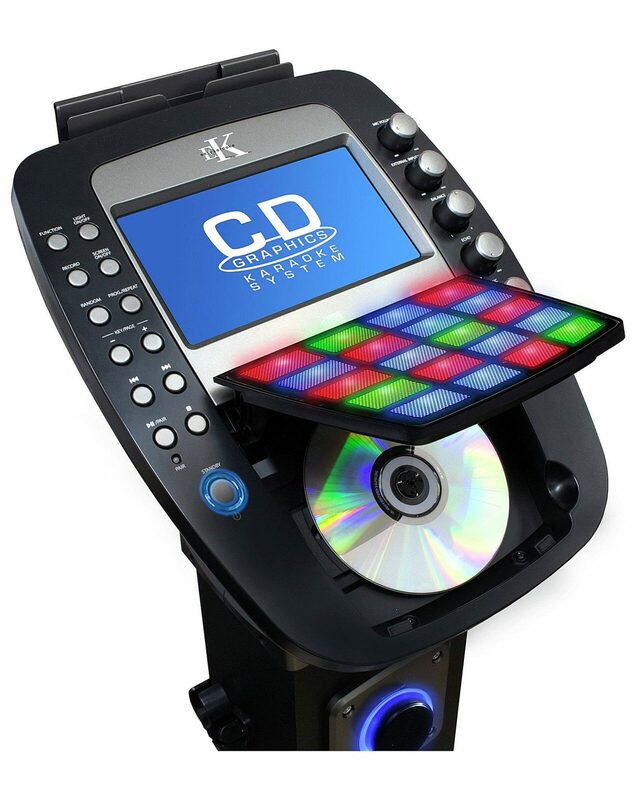 1 x karaoke demo disc, 2 microphones and connecting leads included. 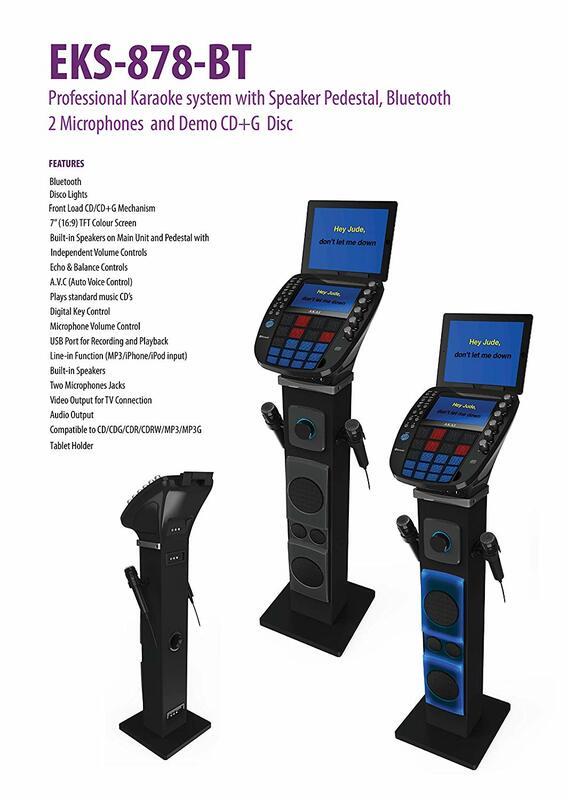 The Easy Karaoke EKS-878-BT is a 6 speaker professional CDG karaoke system with Bluetooth connectivity and 2 microphones plus a demo disc to get your party started from the moment you set up. 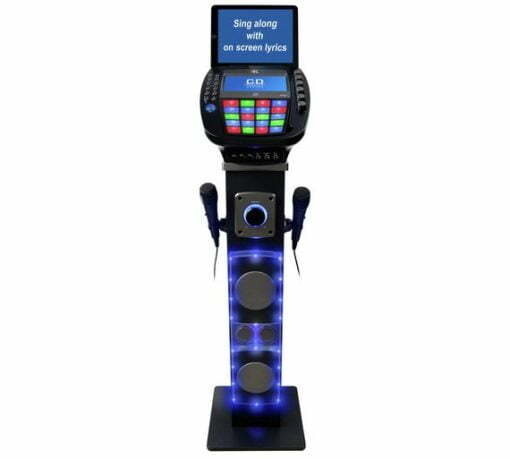 Sing along and record your performance with friends whilst following the lyrics on the built-in 7 inch TFT colour screen, complete with disco lights, echo and balance key controls to enhance your whole singing experience. Simply turn the karaoke night into a disco for a full on party with the syncronised built in disco lighting effects. Please note: TABLET IN PICTURE NOT INCLUDED. 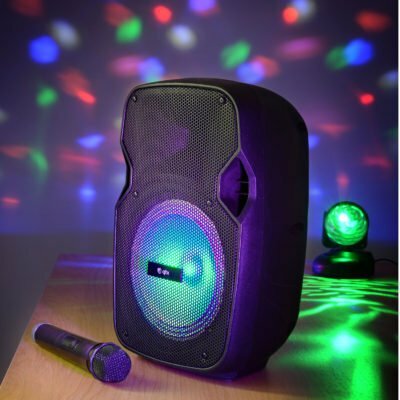 Turn your karaoke night into a disco party, with the LED disco lighting effects! USB: Plays MP3+G and MP3. Size H 99.2cm, W 27cm, D 27cm. Please contact us. Or, why not visit our Facebook page and follow us? See ALL the latest info as it happens!